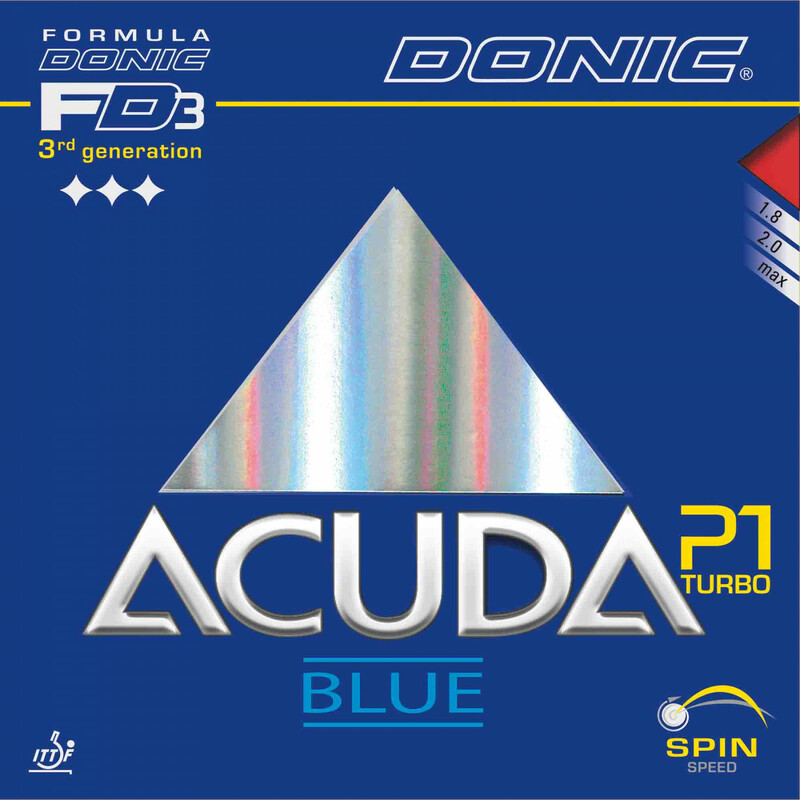 The Acuda Blue rubber sheet series known for their fine touch and excellent control has been extended by a power version - the ACUDA BLUE P1 TURBO. This Turbo version has been aligned for the uncompromising attacker who expects optimum speed and power combined with best possible control. 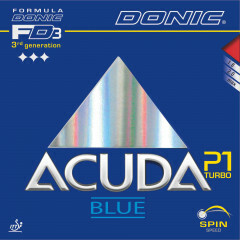 Donic Rubber Acuda Blue P1 Turbo is beeing added to cart.